Visiting Card Holders inspired by Elegant Designs. The product comes in Leather Finish. Available in different color options. Visiting Cards holder as the name suggests are used to hold Business Cards, Identity Cards, Credit Cards etc. The product comes in Steel Encasing. Its compact and easily slide in your Blazer Pockets, Trousers or Shirt pockets. Its light and makes a statement. It is available in varied sizes. 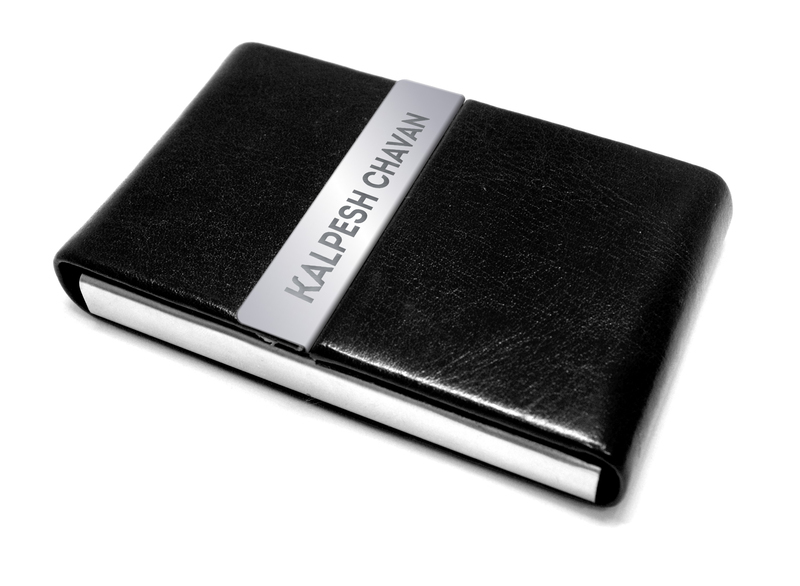 All our Visiting Card Holders can be customized with Engravings. Shop One Now!